McLaren Executive Director Zak Brown believes that DPi is a good “starting point” for a global prototype platform, as talks intensify between the FIA, ACO and IMSA for a possible set of common regulations. Last month’s Rolex 24 at Daytona saw the debut of a fourth DPi manufacturer in Acura, with Ford, and Lexus both seriously evaluating entries into the bourgeoning class in the short-term. Brown, who was represented on the grid at Daytona with his United Autosports LMP2 team, has remained one of the advocates for a single global platform, a concept that’s also being backed by the ACO. “It seems it would be in everyone’s best interests to land on a common set of rules,” Brown told Sportscar365. McLaren has been among the manufacturers in recent working group meetings to help shape the new LMP1 regulations, which are set to be announced at this year’s 24 Hours of Le Mans in June. Mazda Motorsports Director John Doonan, however, believes a potential global platform shouldn’t stray too far away from what’s currently seen in DPi. “I’m sure other manufacturers have weighed in on it but it just seems like a no-brainer with this much momentum around it,” Doonan told Sportscar365. “There are select base [LMP2] chassis and then there is the opportunity for manufacturers to run a branded car with a variety of engines without spending astronomical amounts of money. Lexus, which is evaluating an entry into DPi, are also backers of a global platform. It would allow the world’s second-largest automaker to run the same car as a Toyota in the WEC and Lexus in the WeatherTech SportsCar Championship. “Our colleagues in Japan are right in the middle of conversations with the FIA and ACO,” TRD President and General Manager David Wilson told Sportscar365. Timing is another hotly contested topic, with IMSA’s homologation period for current DPi and LMP2 cars having now been extended until the end of the 2021 season. Neveu, however, admitted its new-gen rules could be pushed back by one additional season, should manufacturers need additional time to build cars to the regulations. One of the biggest holdups, however, could be hybrid technology, with the majority of current IMSA manufacturers, including Mazda and Acura, against hybrids, where the FIA and ACO have pledged to continue with it, but in a more cost-effective fashion. TRD’s Wilson has described the implementation of hybrids as a “slippery slope” in prototype racing. “The current competition is very happy with where DPi is now,” he said. “The flip side of it is that obviously Toyota and Lexus are invested in technology. Brown, however, believes that hybrids have to play a role in any future top-level prototype platform. “There are things like hybrid that going to be very important in 2021, 2022, 2023,” he said. “I hope they can come together, because I think it will be great for the fans and great for the teams and the manufacturers. 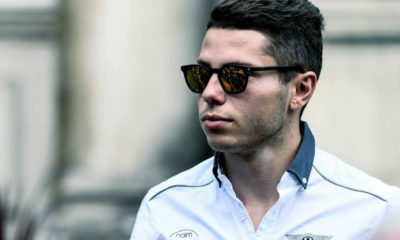 “I know from a McLaren point of view, if the chances of us developing two cars as opposed to one is much more unlikely.